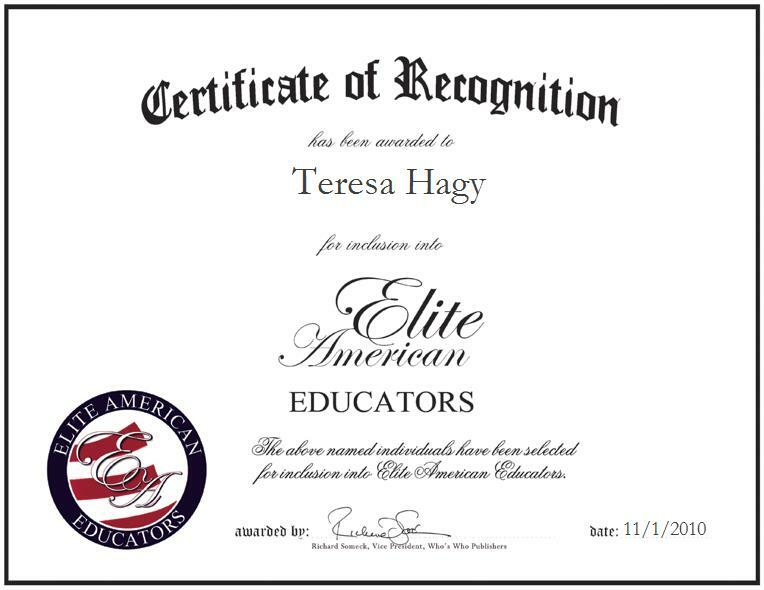 Bristol, Virginia | November 1, 2010 | Teresa J. Hagy, First-Grade Teacher at Washington-Lee Elementary School of Bristol Virginia Public Schools, has been recognized by Elite American Educators for showing dedication, leadership and excellence in all aspects of elementary education. 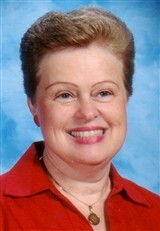 Ms. Hagy has more than 37 years of professional experience and specializes in teaching first-grade students. Prior to joining Washington-Lee Elementary School, she taught for three years at St. Anne’s Demonstration School. Although Ms. Hagy is proficient at teaching other grade levels, first graders hold a special place in her heart. She notes that although her students are a challenge, they are tenacious and have enthusiasm for learning. She enjoys watching her students blossom and grow as she motivates them to love learning. Her students’ energy and enthusiasm keeps her young. Perseverance, patience and the support she receives from her colleagues are the driving forces behind her success. Ms. Hagy received a master’s degree in elementary education plus 30 credits from the University of Virginia. She is a member of the Bristol Virginia Education Association, the Southwest Virginia Reading Council, the Virginia Education Association, the Virginia State Reading Association, the Southern Association of Colleges and Schools, the National Education Association, The Delta Kappa Gamma Society International, and the International Reading Association. She received the Outstanding Elementary Teacher of the Year Award from St. Anne’s Demonstration School in 1975 and was honored as an Outstanding Reading Teacher by the Southwest Virginia Reading Council. For more information about Washington-Lee Elementary School and Bristol Virginia Public Schools, visit http://www.bristolvaschools.org.